An immersive look focused on telling the intricate story of all the details that go into creating an HFZ building, from inception to completion. More than a mere modernist or Starchitect, Bjarke Ingels is a prophetic innovator who is moving the field of architecture forward in every respect. His visually arresting design style is equally noteworthy for its forward thinking attitude toward technology, cost and use of resources. In addition to his solo work and with BIG and his appointments to the faculty of Harvard, Yale and Columbia Universities, this prolific thought leader has been a speaker at TED, WIRED, AMCHAM, and the World Economic Forum. His work and his functionally idealistic thinking has garnered him an array of honors, including The Wall Street Journal’s Innovator of the Year Award, the Danish Crown Prince’s Culture Prize in 2011 and a place on TIME Magazine’s 100 Most Influential People in the World roster. Ingels’ visionary point of view will be on full display at HFZ’s The Eleventh. The torqued towers are not only notable for their design, bold height and inclusion of a Six Senses Hotel, but for the project’s collaboration on an open-air pedestrian promenade. This impactful public-private project is to be created in collaboration with Friends of the High Line. With its positive impact on the street ecosystem, it is destined to become a living landmark of the future upon its projected completion in 2019. With an aesthetic that is aware of the past, but firmly fixed on the future, David Chipperfield’s sensibility deftly combines foresight with a sense of community, history and context. Working from the conviction that architecture has a moral duty to integrate into and positively impact its landscape has made him a thought leader in modern design throughout Europe and Asia. With a portfolio that includes public projects, private residences and numerous flagship luxury designer retail for Valentino in world capitals, Chipperfield’s intellectual and design acuity have been recognized by people and organizations as varied as the Venice Biennale and HRH Queen Elizabeth II. HFZ proudly partnered with Chipperfield on The Bryant. Notable in many aspects, The Bryant was his first ever condominium tower in the United States and the first new condominium directly on Bryant Park. This contextually aligned tower, consisting of residential homes and a hotel, was key to revitalizing Bryant Park and transforming its surrounding area — once thought of as only a business corridor — into a viable residential neighborhood. Since his involvement with The Bryant, Chipperfield has been selected to rebuild the southeast wing of the esteemed Metropolitan Museum of Art. Chipperfield’s unique ability to reinvigorate classic edifices is world renowned. In 2018, he will undertake the restoration of Venice’s Procuratie Vecchie. This Piazza San Marco edifice, which has been closed to the public for five centuries, will be restored, reinvigorated and transformed into a public art space under his auspices. 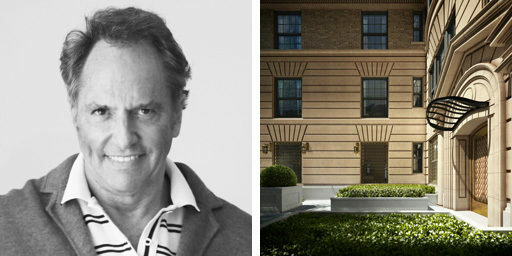 As the interior designer of One57, Harvard trained Thomas Juul-Hansen was pivotal in establishing 57th street as a modern luxury thoroughfare in the city. With an aesthetic eye that reconciles his Scandinavian roots with quintessentially cosmopolitan context, Juul-Hansen’s masterful shaping of space has made him the architecture and design partner of choice for a number of HFZ’s projects. 505 West 19th Street is Juul-Hansen’s first ground-up residential project in New York. With the development freedom to conceive his vision, and the construction support to bring it to fruition, the remarkable result, which is also managed by HFZ, represents a new concept in luxury living. 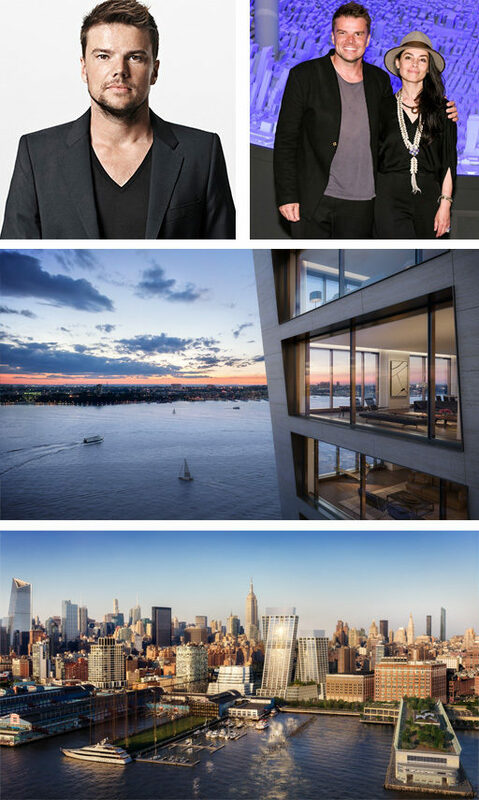 Since this collaboration, Juul-Hansen has distinguished himself as a design partner in 11 Beach Street, a standout project in HFZ’s Tribeca portfolio. Manhattan’s fast and furious pace is both dazzling and daunting. In this future-forward landscape, inventively preserving history and preparing it for the future is a mandate; one at which Pembrooke & Ives excels. Single-mindedly focused on interiors, this esteemed firm — named Architectural Digest’s Top 100 and sought after by the world’s most discerning clientele — specializes in creating an ambiance where the past echoes, the present is at home and the luxuries of tomorrow are anticipated. These unrivaled credentials have made Pembrooke & Ives an invaluable design partner to HFZ as it sets out to restore and modernize the interiors of the landmark properties in its portfolio. Pembrooke & Ives’ unmatched ability to retain a building’s specific decorative and design character while ushering it into the next age is pivotal to the HFZ vision. Treasured properties retain the details and aura that make them special, while their worth and livability are maximized for a new generation of owners. This outstanding partnership of trust and mutual respect for what has come before can be seen most notably in HFZ’s The Chatsworth and The Astor. Among today’s most important living architects, Robert A.M. Stern is arguably the founder of the Postmodern Movement. Through his namesake firm, books and Deanship at Yale School of Architecture, he has single handedly exalted late century American Architectural Design. His awards include the Driehaus Prize, and his public work — from the Museum of African Art to the Comcast Center to Celebration Florida — defines the living landscape in the United States. 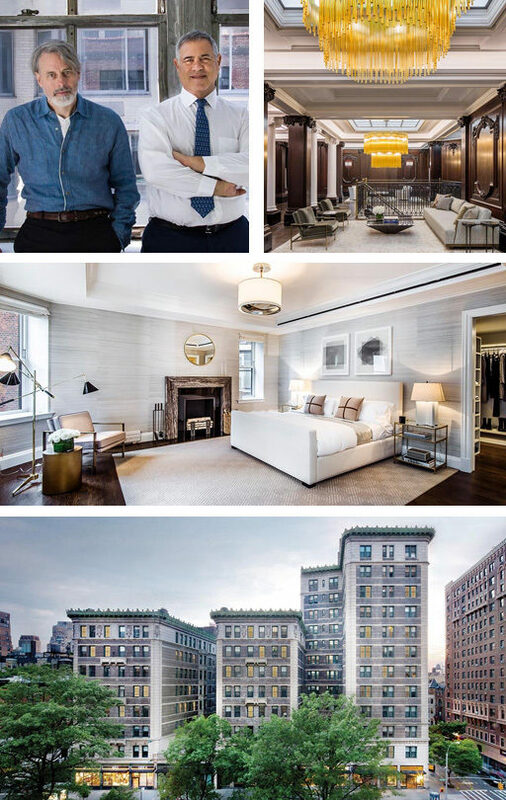 His residential design for 15 Central Park West, which transformed the former site of the Mayflower Hotel into the most pre-eminent luxury residence in the city, set the ultimate standard by which all other contemporary luxury residences are judged. Performance, responsibility and meaningfully audacious design are the bold triumvirate of elements that define Workshop APD’s core values. By combining sustainability with innovative design, this relatively young firm has made its mark on a range of notable residential and commercial projects since its inception. The industry accolades they have garnered — from 2006’s Sustainable Design Competition for New Orleans, to Best New Design Award for Brooklyn Navy Yard’s BLDG92, to their inclusion in Residential Architect’s ​‘Top 15 Architect’s To Watch’ — suggest that they are deeply invested in community and posterity. 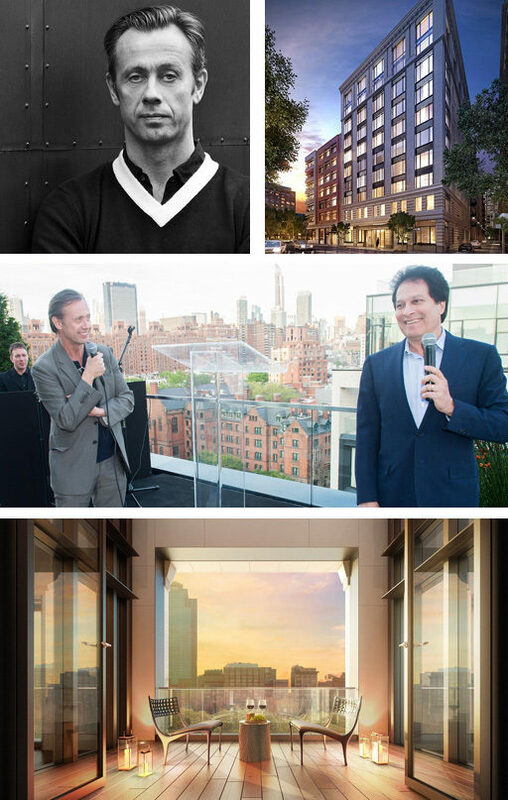 Their belief in creating ethical, relevant design that embraces technology and sustainability made them the partner of choice for HFZ’s 88 & 90 Lexington Avenue project. Their challenge to unite the two existing structures into one cohesive edifice culminated in creating an innovative glass and stone façade that envelops 90 Lexington. While a daring feat of engineering and design, it has been lauded for its ability to allow each residence to be flooded with the maximum amount of light; an amenity that is a true luxury in Manhattan’s crowded cityscape. Devoted to creating solutions that reflect and respect the essence of the individual, S. Russell Groves brings a dimensioned vision to design. Born in Nova Scotia and raised in the metropolitan area, his spatial dexterity, material sensibility and meticulous attention to detail bring restrained indulgence, warmth and proportion to modernism. His design style fuses sustainability with luxury; encompassing craftsmanship and engineering, and it has not gone unnoticed. 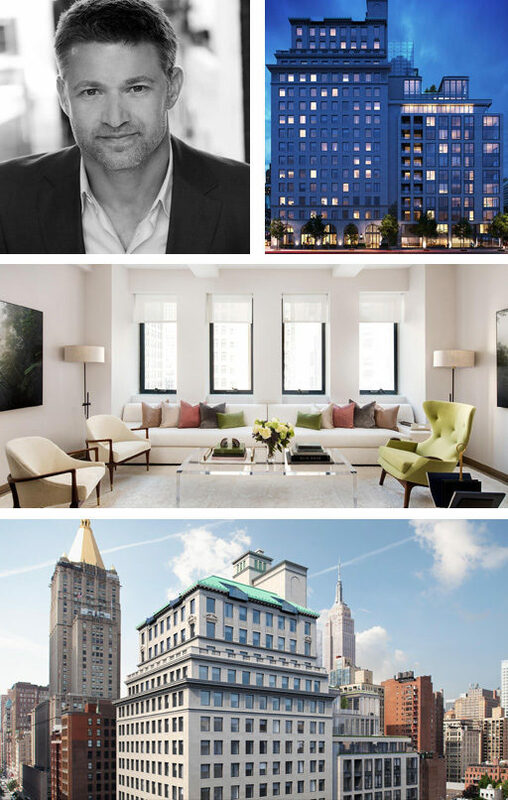 Since his work at The Lucida, New York’s first LEED Certified luxury residential building, AIA Awards, a spot on Architectural Digest’s 2018 100 List and numerous AIA accolades have followed. As the interior designer of HFZ’s Halcyon, Groves has used walnut, travertine, marble and bronze to create layers of luxurious utility in the building’s private spaces. Simultaneously, elegant use of water infuses pool and spa areas with a stunningly serene simplicity. The award-winning architectural firms Shelton, Mindel & Associates and Beyer Blinder Belle Architects executed The Marquand’s careful restoration and modernization, informed by the century-old principles of design excellence established in the timeless Haussmanian apartments in Paris, along with the gracious social clubs of London. Inspired by a legacy of landmarked apartment buildings, the architects thoughtfully selected the historic interior finishes that would come to serve as the foundation for The Marquand’s design vernacular. The consistent visual experience of the materials created a narrative that leads from the point of arrival through the building, up into each residence. With a meticulous attention to detail that underscores the grandeur of these traditional spaces, each residence offers an abundance of natural light and a generosity of proportion and space. The firm is the recipient of twenty-eight AIA awards for architecture, seven Interior Design Magazine Best of Year awards for residential and commercial interiors; eighteen design awards from the Society of American Registered Architects, a Progressive Architecture citation, three Roscoe awards for product design, as well as three Good Design Awards and two American Architecture Awards from The Chicago Athenaeum. The American Institute of Architecture, San Francisco Museum of Fine Arts, National Academy of Design and Houston Museum of Fine Arts have exhibited the firm’s work in both traveling and permanent exhibitions. Product design lines include collections for Knoll, Waterworks, Jack Lenor Larsen, and V’Soske. 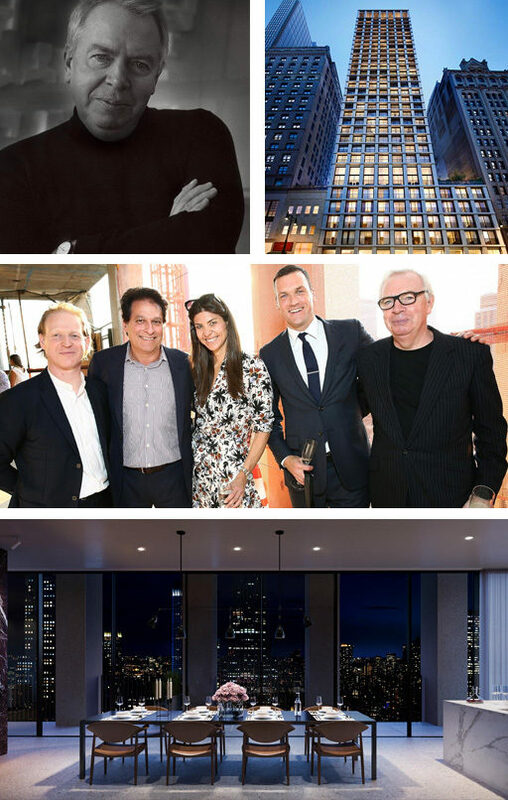 Architectural Digest has recognized SheltonMindel℠ as one of the top 100 design firms of the last century and Peter L. Shelton and Lee F. Mindel, FAIA were recognized as the Deans of American Design in 2005. 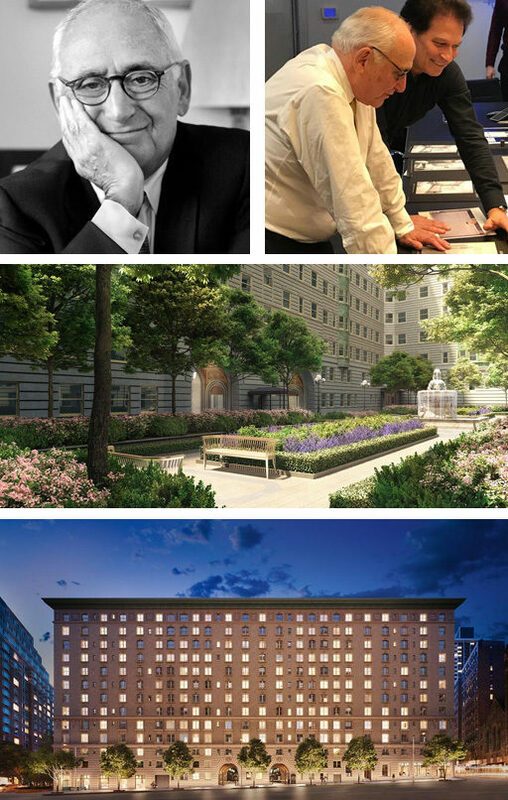 Both Peter L. Shelton and Lee F. Mindel, FAIA, were inducted into the Interior Design Hall of Fame and were the recipients of the prestigious 2011 Cooper Hewitt National Design Award.